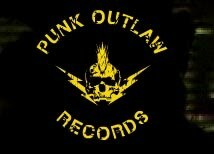 One of my favorite types of music is PUNK and some of my favorite places punk comes from (besides UK and America) is Latin America, Spain, etc so I was very pleased to see my friend Robert Rose launched his new record label PUNK OUTLAW Records!! The digital record label will initially focus on 360 degree partnerships importing music from emerging punk & independent artists. Now that's something I wanna dig my teeth into, yummy!!! The AIM Tell-A-Vision® Group (AIM TV) announced today the launch of “Punk Outlaw Records” as part of their “Punk Outlaw® Productions content banner. The digital record label will initially focus on 360 degree partnerships importing music from emerging punk & independent artists. AIM TV Founder, Robert G. Rose, formed Punk Outlaw Records when traveling abroad gathering material for his documentary “Punktology…The Worldwide Influence of Punk”. Rose witnessed firsthand that the DIY (Do It Yourself) spirit of punk music was very much alive and thriving in places where artists sacrificed tremendously to make music in the face of incredibly challenging circumstances. The new record label’s roster of recently signed artists include “Rudos Wild” (Rough and Wild), a raucous, in your face punk and punkabilly band from Montevideo, Uruguay that has been performing since 2003. Rudos Wild plays straight up classic punk rock heavily influenced by rockabilly, psychobilly and artists such as Social Distortion, The Misfits, Johnny Cash, Elvis Presley, Stray Cats, The Clash, Tiger Army, The Living End and Reverend Horton Heat to name a few. Rudos Wild has independently recorded two full length CDs and toured extensively in Uruguay, Argentina and Chile. Punk Outlaw Records also recently signed “Los Suziox” (The Dirty) a talented punk band hailing from the working class barrios of Medellin, Colombia. Los Suziox (LSZX) has independently recorded several tracks with a large repertoire of socially conscious songs that has garnered them legions of loyal fans in their native Colombia and throughout Latin America. LSZX’s musical influences are diverse and include bands like Stiff Little Fingers, Klamydia, The Addicts, The Clash, Konflikt, Ramones, Minor Threat, The Meteors & Stray Cats to name a few. “Latin America is a hotbed of punk music and culture. Rudos Wild and Los Suziox represent the diversity and quality of the music being made there.” states Robert G. Rose, president of Punk Outlaw Records. “American Latinos having a rich history of contributions and are a powerful force in the punk, psychobilly and rockabilly scenes in the U.S. today. With the changing nature of the music business and the declining influence of major labels, now is the perfect time to start an indie label that will help artists get their music to a wider audience. Our goal is to provide a platform to expose talented artists to a group of fans otherwise not able to experience important music that demands to be heard” Rose continues. AIM TV Group and Punk Outlaw are wholly owned subsidiaries of Artist and Idea Management, Ltd, the pioneering creators of the long running, English language syndicated television series, American Latino TV and LatiNation which were sold to Los Angeles based LATV Networks in 2008 and are still airing in the U.S. via broadcast syndication and cable today. coolness! Thanks for the support! 2NITE!!! Remezcla Musica Launch Party in NYC! !